Trump’s recently released a National Security Strategy that includes a new push to combat Chinese influence operations that affect American universities, think tanks, movie studios and news organizations and to help American institutions resist these intimidating influences. On January 14th, the Washington Post reported that the University of Texas in Austin rejected a proposal from its new China Center to accept money from the Hong Kong based China United States Exchange Foundation due to its close links to the Communist Party bureau that manages influence operations abroad. Unfortunately, other leading universities and thinks tanks have accepted this foundation’s monetary support, resulting in serious credibility concerns. Influence over the American press and entertainment industry limits freedom of speech and expression. Influence over democratically elected officials results in the promotion of the CCP’s agenda over the wishes of the constituency that put those politicians in office. Last year, California State Senator Joel Anderson drafted Senate Joint Resolution 10, modeled after U.S. House Resolution 343, unanimously passed in June of 2016 by a bipartisan majority who found reports of forced organ harvesting from prisoners of conscience in China to be credible. Regrettably, California legislators bowed to threatening statements from the Chinese consulate in San Francisco and Anderson’s resolution was never voted upon. A country without a voluntary organ donation system before 2010 aspires to lead the world in organ transplantation by 2020. Yet reports of rapid rises in voluntary organ donations run contrary to existing Chinese cultural norms. For example, an organ donation coordinator admitted to completing only 30 voluntary donations between 2013 and 2017. Apparently, Chinese ICU hospital staff still lack the knowledge and expertise to keep potential donors alive and organs viable. Recently, China claimed to have the fastest growing lung transplant market in the world. The Lung Transplant Clinic at Shanghai Pulmonary Hospital will be the first in Asia to acquire the XVIVO Perfusion System to study the effects of ex vivo lung perfusion on lung transplants. For nearly two decades, China has committed huge resources to the expansion of its transplant hospital infrastructure, medical staff training, and research resulting in exponential growth of an enormously profitable organ transplantation industry. Apparently, there has never been doubt about the ready availability of organs in the only country on earth where the central government controls organ procurement. Evidence has made it clear that Falun Gong practitioners have been the government’s primary organ source. Falun Gong, or Falun Dafa, is a traditional Chinese spiritual practice that guides adherents to cultivate the principles of truthfulness, compassion, and tolerance. China’s transplant industry skyrocketed soon after former CCP leader Jiang Zemin launched a nationwide persecution of Falun Gong in 1999 which resulted in the arrest and imprisonment of millions of practitioners. Unfortunately, other large groups may be augmenting Falun Gong practitioners as sources for the CCP’s organ harvesting program. From September 2016 to March 2017, medical evaluations performed on 17.5 million people in predominantly Uyghur-populated regions included physical exams, fingerprinting, iris scans, DNA sampling, blood and urine testing, x-rays, electrocardiograms, and ultrasounds. Ironically, no one ever received test results. Dolkun Isa, President of the World Uyghur Congress, raised concerns before the British Parliament on December 13, 2017 that the CCP has established a genetic database for millions of ethnic Uyghurs to exploit them for forced organ harvesting. He cited the China News Service report that China Southern Airlines opened an express lane in May of 2016 for transporting human organs to and from Xinjiang. 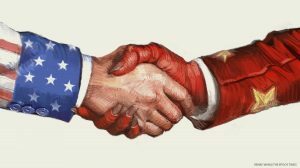 The scope of influence and infiltration by Chinese leadership into the United States and other countries around the world should give us all reason to pause. Yet international transplant leaders, who profess to believe unsubstantiated statements made by Chinese officials, disregard blatant evidence of China’s forced organ harvesting that the United States Congress, the European Parliament, several international human rights organizations and millions of individuals around the world have accepted as genuine and reliable.